The birds listed below all belong to the biological order Strigiformes, and are native to North America. 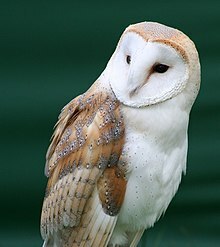 Typical owls are small to large solitary nocturnal birds of prey. They have large forward-facing eyes and ears, a hawk-like beak and a conspicuous circle of feathers around each eye called a facial disk. This page was last edited on 29 December 2017, at 01:46 (UTC).